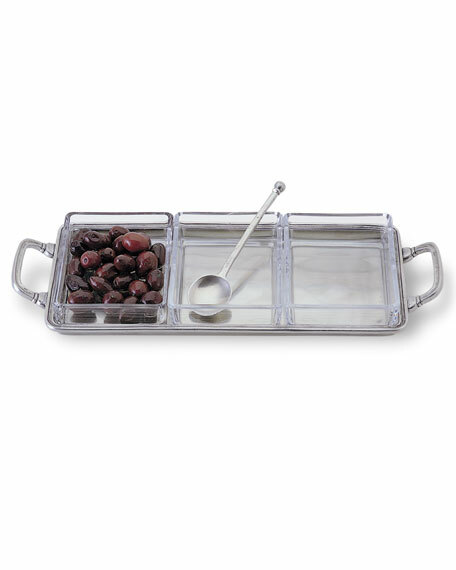 Handcrafted glass tray. 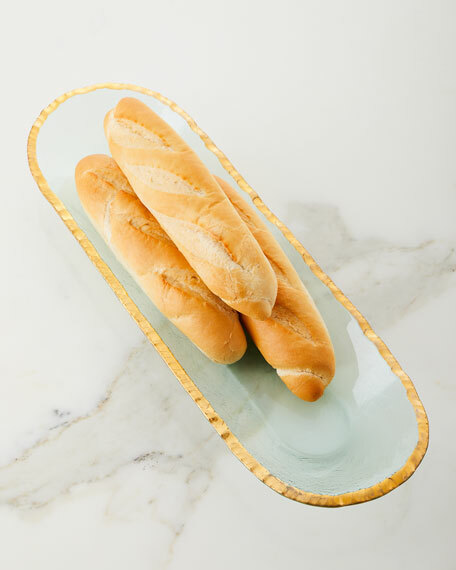 Hand-chipped and smoothed edges are hand painted with 24-kt. gold. 21.5" x 7.25". Durable; chip resistant. Dishwasher safe. Made in the USA. 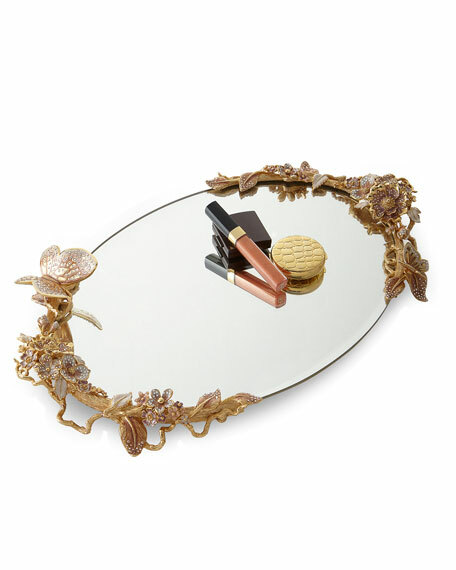 Handcrafted oval mirror tray from the Vanity Collection. Hand-enameled handles with hand-set Swarovski crystals. Pewter castings. 18-karat plated matte gold. 19.75"W x 12"D x 3.5"T. Made in the USA. Boxed weight, approximately 4 lbs. 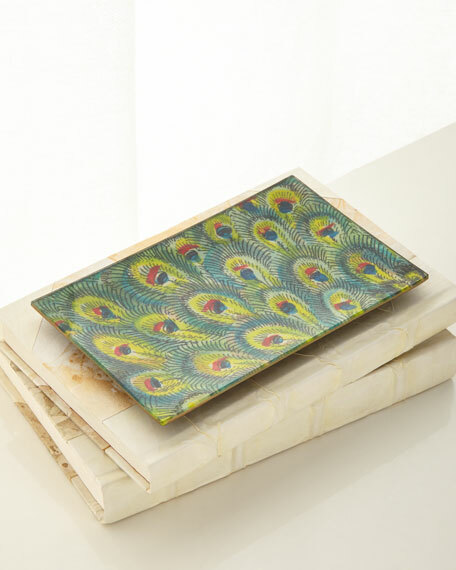 Handcrafted tray with peacock feather pattern. Glass, paper, felt, paint, and glue. 8"W x 5"D x 0.5"T. Handmade in New York City. 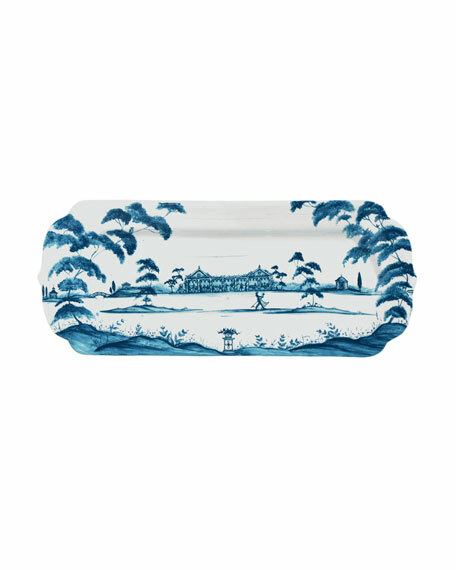 Ceramic stoneware tray. 15"L x 6"W. Oven, microwave, dishwasher, and freezer safe. Made in Portugal.